I have been working on adding controls for posing and skinning entities in Chunky. I added a new tab in the Render Controls dialog which has a list of poseable entities and controls for adjusting each entity individually. It also allows adding/removing entities. 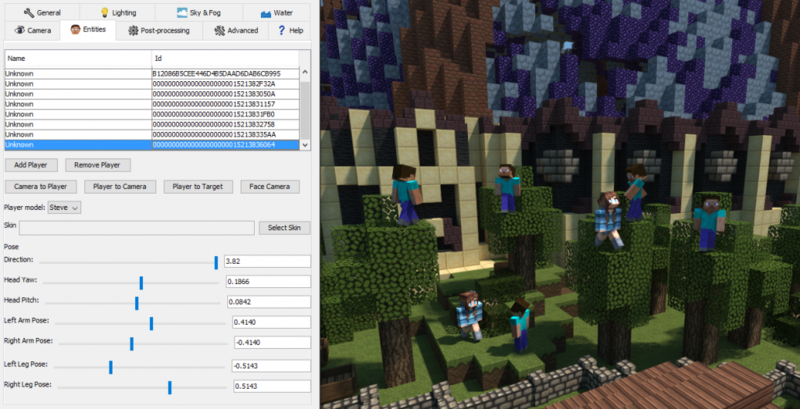 It is still unfinished but somewhat useful, so I uploaded a new snapshot build with this work in snapshot 1.3.8-alpha1. Automatic downloading of player skins based on player ID. Ability to save poses for easier posing. Allowing multiple entities to be edited at the same time. I have been thinking about a redesign of the Chunky UI recently. 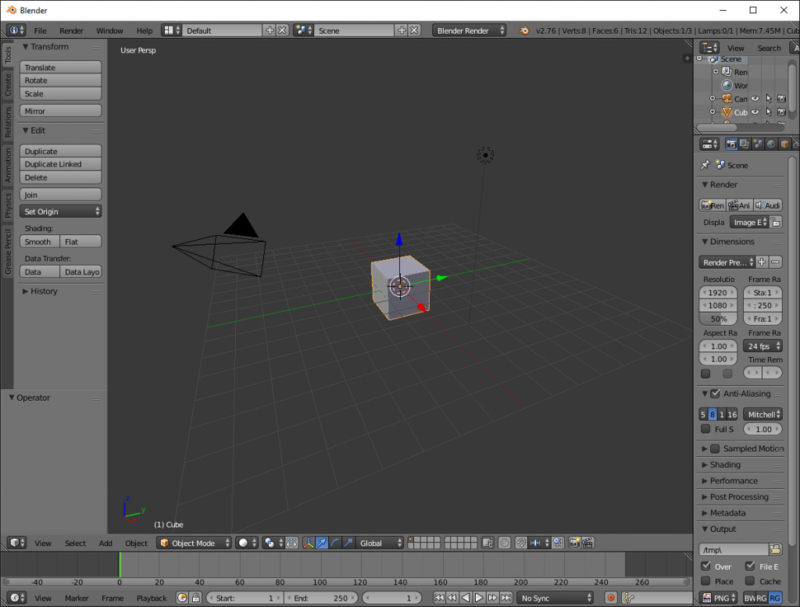 I would like to get rid of the 3D preview window and integrate it into the main Chunky window. I also want the Render Controls to be inside the main window by default. I’m imagining something similar to how most 3D editors work where there is one or more 3D views of the scene in the middle of the window and toolboxes on the sides of the window. I also want the Render Controls tabs to become individual toolboxes that can be repositioned individually in the UI by the user. Part of the motivation for this redesign is that the default mode you enter when Chunky starts is a plain 2D map viewing mode, while the most common task in Chunky is creating 3D scenes so the 3D scene mode should be the default mode. The map should just be a tool you use to load chunks from a Minecraft world. Another idea I had was to migrate the Java 8 and JavaFX, but that is a larger change and nothing I want to deal with anytime soon. Moving characters up and down is not possible yet? Version 1.3.8 has a new Entities tab in the Render Controls window which allows adjusting player entity poses. It’s not as user friendly as I’d like it to be but it should be functional and I’ll improve it in future versions.